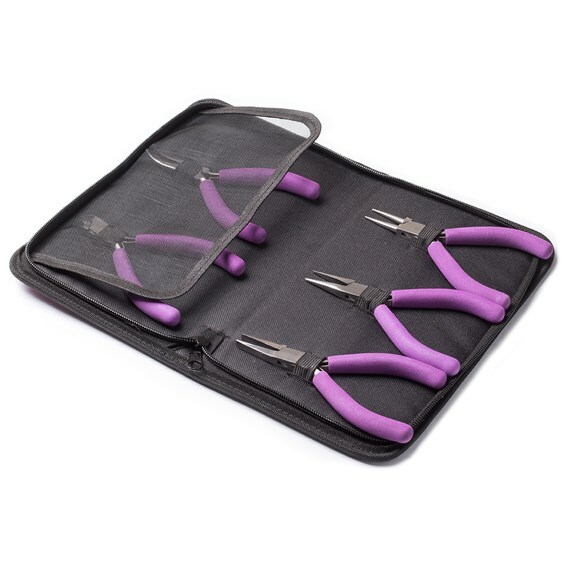 Kernowcraft's handy pack of jewellers pliers come in a useful zip up case to keep you organised with everything you need to get started on your jewellery making journey. 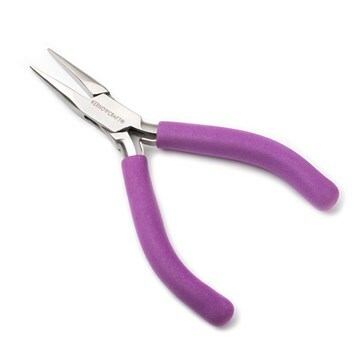 Which pliers do you really need when starting out making your own jewellery? 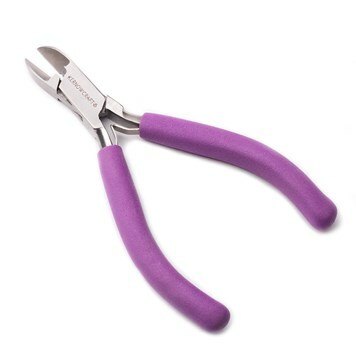 There are a lot of different types of jewellery making pliers available covering the basics to more specialised needs. If you are just starting to make your own jewellery this can be confusing and leave you wondering what pliers are essential for jewellery making. Our handy guide will explain what the different types of pliers are for and which you really need when starting out. The ones we find ourselves reaching for on a daily basis are snipe nose pliers, round nose pliers, side cutters. The others included here all have their purpose and may help to make your jewellery designs neater, help you troubleshoot problems in the workshop and make some tasks easier. If you want to start making jewellery and have a limited budget, we'd recommend starting with the basics first or invest in our pack of pliers which includes 5 essentials in a handy zipped carry case. or chain nose pliers are a great universal plier to have. 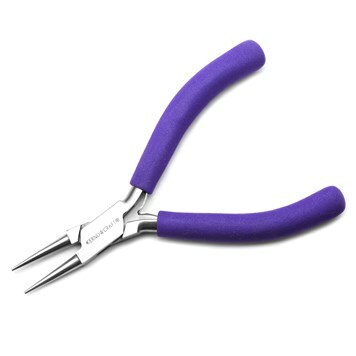 Use them for opening and closing jump rings, holding small items and shaping wire. The tapered nose helps get into awkward places and is ideal for using with crimps. Read our advice page on opening and closing jump rings. 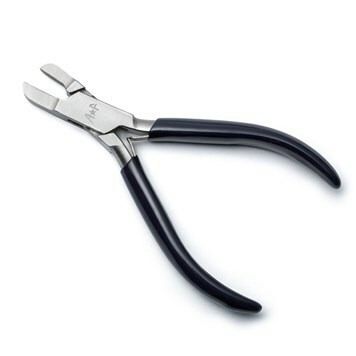 You can view our standard Snipe Nose Pliers and Premium Precision Jeweller's Snipe Nose Pliers. The perfect tool for forming loops in wire, this is especially handy when doing any wire wrapping and also for creating your own eye pins. Read our advice section to learn more about wire wrapping techniques. 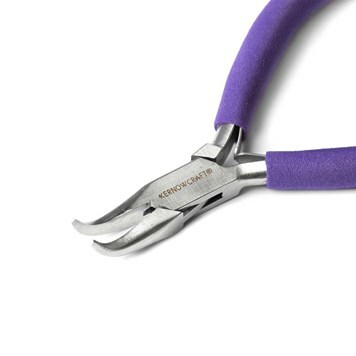 View our standard Round Nose Pliers and Premium Precision Jeweller's Round Nose Pliers. Flat nose pliers have a wider surface, this makes them great for holding larger flatter surfaces and bending even, sharp angles in sheet and wire. The wider nose makes them stable and handy for opening and closing jump rings. Tip: Use with the snipe nose pliers to make holding and opening your jump rings easier. View our standard Flat Nose Pliers and Premium Precision Jeweller's Flat Nose Pliers. These are the go to when cutting thin metal wire (up to 1mm) or flexible jewellery string wire such as flex-rite. The flat blades mean you can cut right up to the edge of your work and in hard to reach places minimising filing and finishing needed. 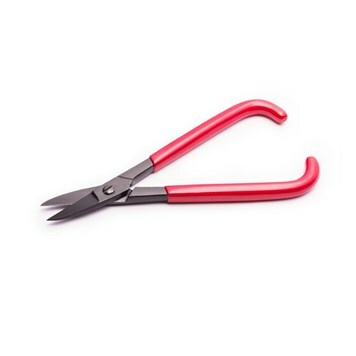 Bent nose pliers are ideal for getting into and gripping in hard to reach places, they can also be used for opening and closing jump rings and shaping wire. The bent angle of tips mean to can see your work without the handles getting in the way of your line of sight. 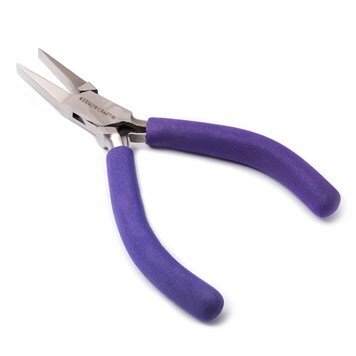 These pliers are ideal for working with wire and findings as they will not damage, mark or scratch your work. 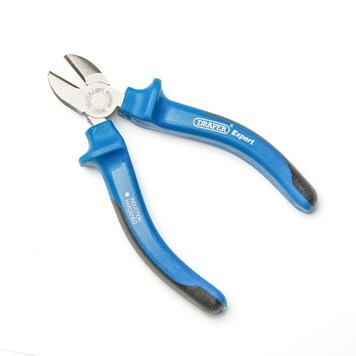 The soft jaws of these pliers won’t have such an intense grip on your work so will form without the worry of creating plier marks whilst shaping. They are particularly useful to straighten out kinks in wire too as well as strengthening it slightly when you run it through the jaws. 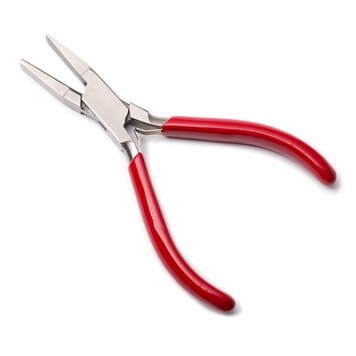 Also known as ring bending pliers, these are a great way to quickly and easily form curves in metal sheet and flat or D-shaped wire. One of the jaws has a half-round cross section for curving and forming and the other jaw is flat which helps avoid marking the metal so you can gradually work your way around, bending and shaping it as you go until a complete ring shape is achieved. They are also useful for making ear wires as well as for other wire work. A more substantial version of the normal side cutters. Used the same way for precision cutting they are made from tougher steel which will cut through thicker harder wires without causing damage to the cutting blades. Great for using with products like memory wire. 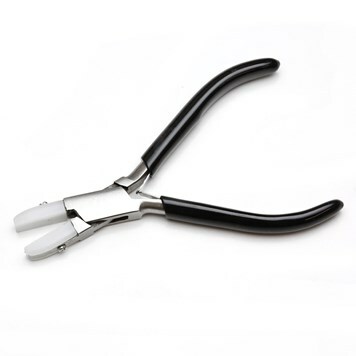 These have specially designed jaws which are shaped and grooved so that they fit over the prongs on a setting to provide a fast, safe and controlled way to tighten most claw type mounts. 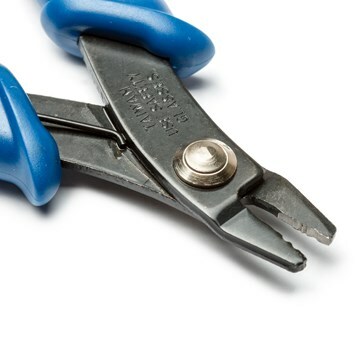 Micro crimping pliers are a specially designed tool for creating a neatly finished crimp. Using snipe or flat nose pliers will squash the crimp flat which can leave it with sharp edges. These pliers have two actions, the first creates a U shape locking it in place on the wire then the next secures it round to neaten it off. 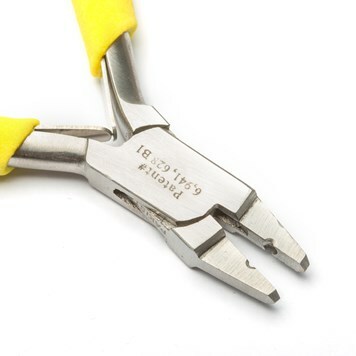 These pliers are another alternative to the original crimping plier, rather than a two stage crimp you use the concave indent to turn a 2x2mm crimp into a smooth bead which gives a highly professional finish. Metal Shears have tough cutting blades which are perfect for cutting wire and solder strip as well as sheet (up to about 0.6mm) when you don’t want to use a piercing saw. 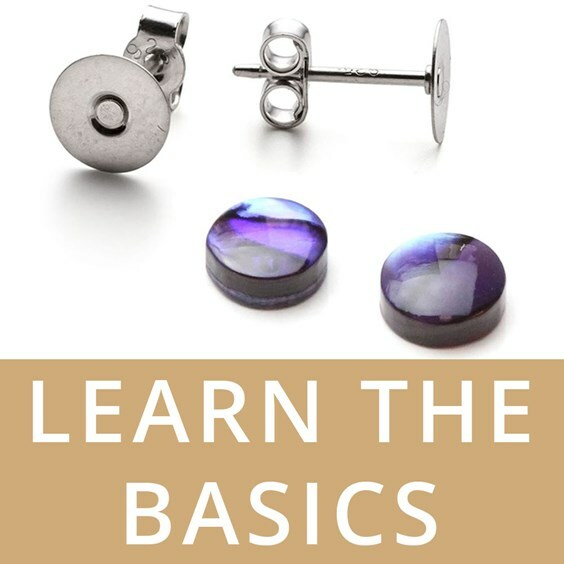 If you're a beginner in jewellery making, our Learn The Basics section is a great way to get started with understanding products and techniques. Ready to get started? 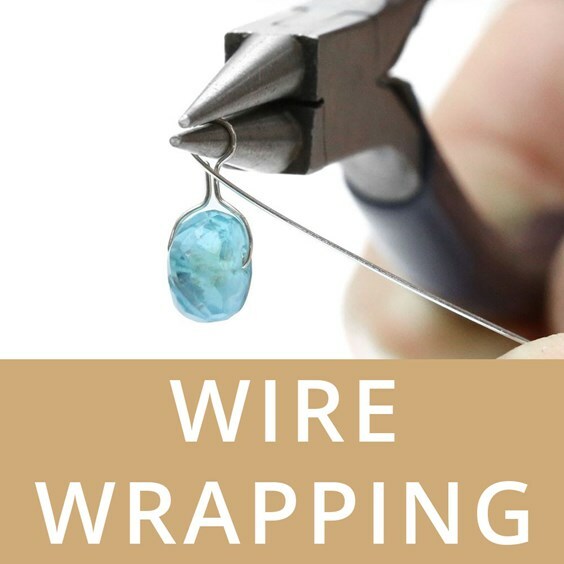 Head to our Wire Wrapping section for lots of advice and guidance.